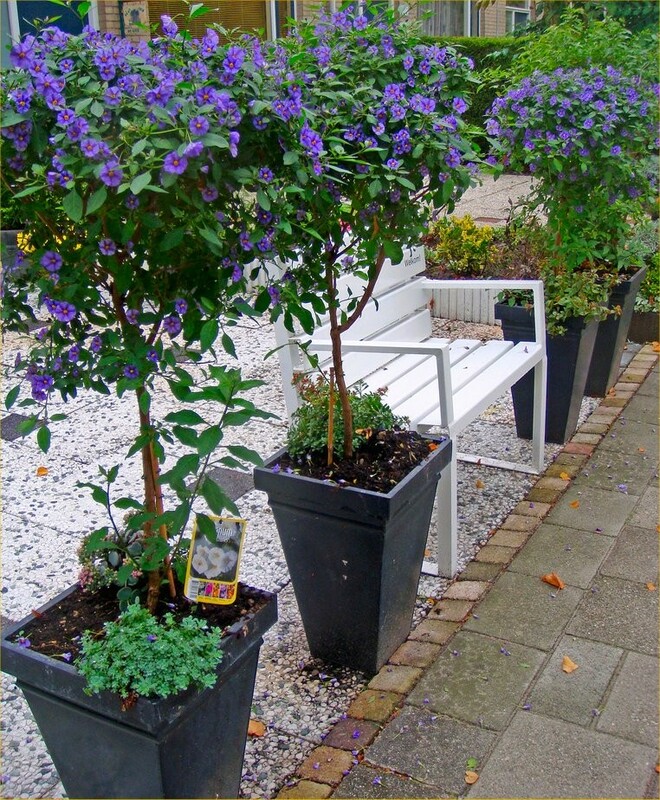 These patio Solanum Trees are very easy to grow and eye catching, and are a perfect choice to add extra height and interest to your planters or even garden beds and borders. Originating from South America, they are very free flowering all summer long and will reward you with a dazzling display of delicately scented blooms throughout the summer. Although not fully hardy, they can easily be overwintered inside a greenhouse or conservatory. 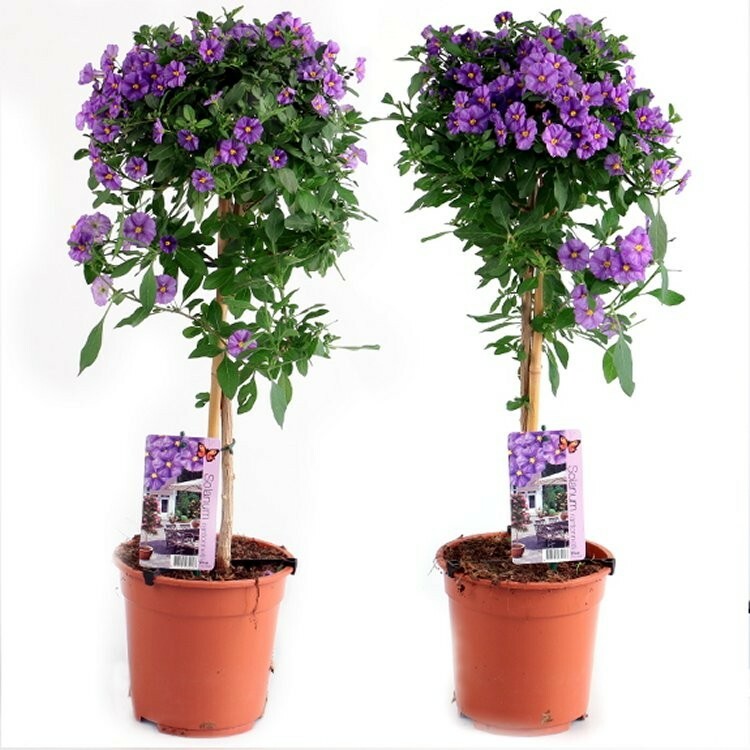 Supplied as standard trees with a clear stem and head of foliage and flowers they'll command attention where ever you choose to position them, and immediately provide impact on delivery. Try a pair either side of your front door in smart planters to create a truly grand entrance! Supplied in approx 3 litre containers at an overall height of around 70 to 100cms.